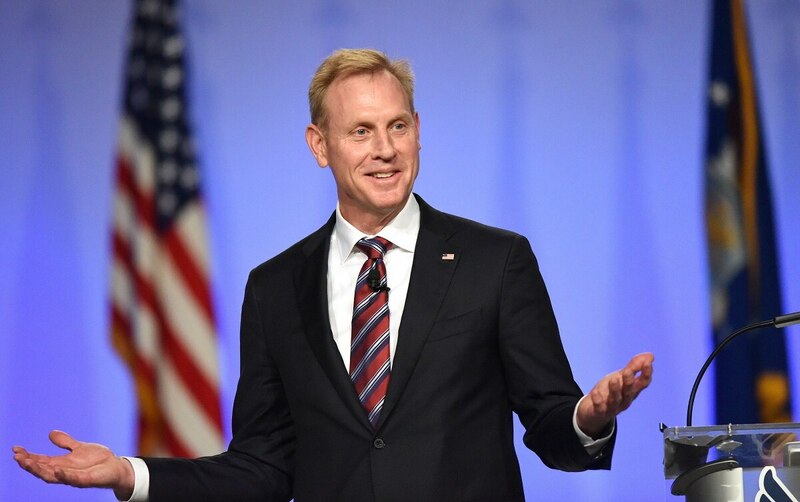 WASHINGTON — On Monday, Deputy Secretary of Defense Patrick Shanahan killed a proposed change to the way the Pentagon handles industry cash flow, following complaints from industry and members of Congress. What happened, and what comes next, remains unclear. Speaking to reporters Wednesday, Shanahan, the number two at the Pentagon, said he had not seen the proposed rule until he got a letter from the Hill raising objections, and indicated there was some sort of process breakdown in the shop of Ellen Lord, the undersecretary of defense for acquisition and sustainment. “I don’t know the details within Ellen’s shop. I got a letter from folks in Congress that said ‘please look into this,’ I sat down with Ellen and she shared with me that they hadn’t fully coordinated the input and I said 'well fine, we’ll just pull it back, we’ll fully coordinate it and we’ll move along,’” Shanahan said. How do you get the defense industry to work smarter? Ellen Lord has an idea. While not naming the members who raised concerns to him, Shanahan was likely referencing the Sept. 21 letter sent by Rep. Mac Thornberry, R-Texas, and Sen. Jim Inhofe, R-Okla., the chairs of the House and Senate Armed Services Committees, which called the proposal “fundamentally flawed" and asked that it be rescinded and revisited. That came after three major industry groups — The National Defense Industrial Association, the Professional Services Council and the Aerospace Industries Association — objected to the proposed change, which would have slashed payments on work to be performed from 80 percent to 50 percent, with incremental increases for maintaining quality or on-time delivery, or decreases for companies that have committed fraud. Where the process broke down in Shanahan’s eyes is not clear, as the language seemed to follow the traditional path for proposed rules, including being posted to the federal register on Aug. 24, and being made open for a public comment period. And that raises the question of what happens next. That statement would seem to indicate the department intends to make some changes and then try again with the broad idea of performance incentives. However, David Berteau, a former Pentagon official who is now the president and CEO of the Professional Services Council, says the department needs to do more than just tweak a few things and try again. “If DoD simply updates and recoordinates the previous language, I don’t think that is likely to address the serious policy concerns raised by the associations or the Congress,” he said.